Well hello to you my reader chums! As the evenings have become darker and chillier, there's nothing better than coming home from work and unwinding in the bath. 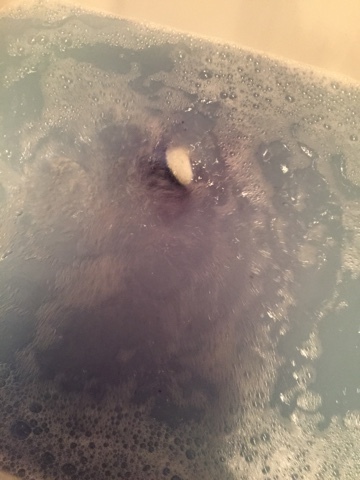 Lush bath bombs are my favourite kind of treat for these moments because with the wide variety available, the experience is made much more exciting. 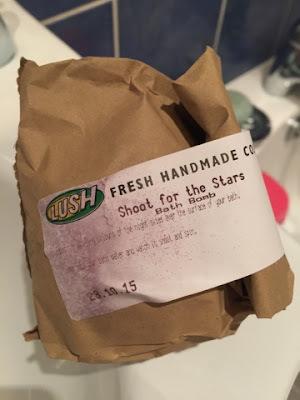 I own a vast collection of bath bombs (yes I'm a hoarder) and today I opted for 'Shoot for the Stars' as I've never tried it before. When I first picked it up I loved the overall design. It included a blue background with a shooting star pattern spread across, amongst smaller yellow stars surrounding it. Made up of such beautiful colours on the exterior, I was intrigued to see what was inside. After running my bath I popped it in and bursts of purple/blue spurted out. Tiny bursts of pink and yellow also soared through when the inner section unravelled. 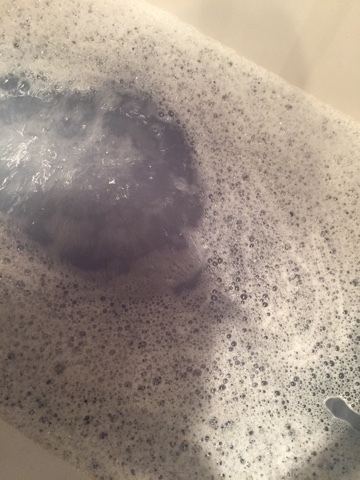 I was surprised to see not only an abundance of colour in the water but lots and lots of bubbles! 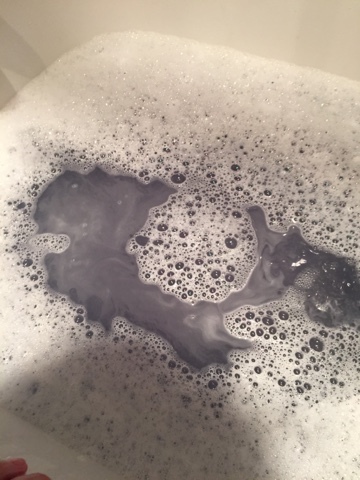 Usually bubble bars are the products which produce millions of bubbles so I was very excited to see many appear as the bomb unfolded. Once settled, the overall look reminded me of the night sky with blends of purple, blue shades and slight shimmer running though. It looked somewhat mystical and ever so pretty! Even though it had glitter shining within, it wasn't an overwhelming amount meaning you didn't get out of the bath sparkling! 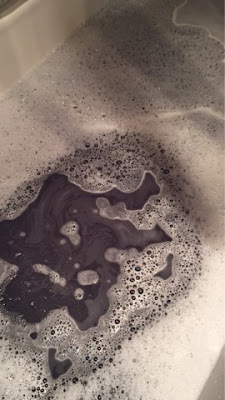 The scent of the bath was incredibly calming and subtle, ideal for a truly relaxing experience. It's similar to parma violet sweets, only a tiny bit sweeter and not as strong. I really love how it wasn't too overpowering yet the scent still lingered during and after the bath. I hope you enjoyed this short review. 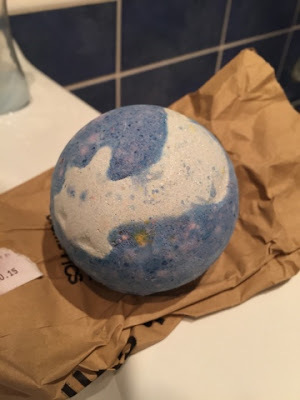 What's your favourite Lush bath bomb? 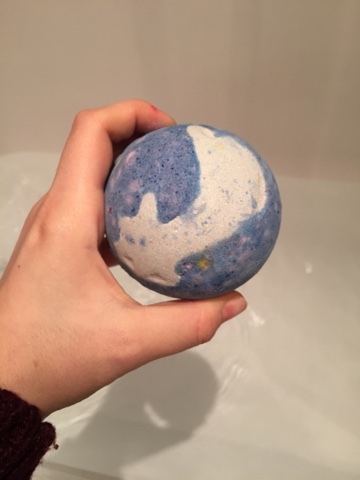 It's not the prettiest colour to turn your bath but at least the scent was lovely!